C. Norman Shealy MD, PhD, is Director of The Shealy Institute for Comprehensive Health Care and Clinical Research and Professor Of Psychology at the Forest Institute of Professional Psychology. Vera Borgmeyer is Research Coordinator at the Shealy Institute for Comprehensive Health Care and Clinical Research. Address reprint requests to: Dr. C. Norman Shealy, The Shealy Institute for Comprehensive Health Care and Clinical Research , 1328 East Evergreen Street, Springfield, MO 65803. Pain in the lumbosacral spine is the most common of all pain complaints. It causes loss of work and is the single most common cause of disability in persons under 45 years of age (1). Back pain is the most dollar-costly industrial problem (2). Pain clinics originated over 30 years ago, in large part, because of the numbers of chronic back pain patients. Interestingly, despite patients' reporting good results using "upside-down gravity boots," and commenting on how good stretching made them feel, traction as a primary treatment has been overlooked while very expensive and invasive treatments have dominated the management of low back pain. Managed care is now recognizing the lack of sufficient benefit-cost ratio associated with these ineffective treatments to stop the continued need for pain-mitigating services. We felt that by improving the "traction-like" method, pain relief would be achieved quickly and less costly. Although pelvic traction has been used to treat patients with low back pain for hundreds of years, most neurosurgeons and orthopedists have not been enthusiastic about it secondary to concerns over inconsistent results and cumbersome equipment. Indeed, simple traction itself has not been highly effective, therefore, almost no pain clinics even include traction as part of their approach. A few authors, however, have reported varying techniques which widen disc spaces, decompress the discs, unload the vertebrae, reduce disc protrusion, reduce muscle spasm, separate vertebrae, and/or lengthen and stabilize the spine (3-12). Over the past 25 years, we have treated thousands of chronic back pain patients who have not responded to conventional therapy. Our most successful approach has required treatment for 10-15 days, 8 hours a day, involving physicians, physical therapists, nurses, psychologists, transcutaneous electrical nerve stimulator (TENS) specialists, and massage therapists in a multidisciplinary approach which has resulted in 70% of these patients improving 50-100%. Our program has been recognized as one of the most cost-effective pain programs in the US (I 3). The average cost of the successful pain treatment has been cited as less than half the national average (13). Our protocol combined traditional, labor-intensive physical therapy techniques to produce mobilization of the spinal segments. This, combined with stabilization, helped promote healing. In addition we used biofeedback, TENS, and education to reinforce the healing processes. We wanted to produce a simpler and more cost-effective protocol that could be consistently reproduced. The biofeedback and education could be easily replicated. The problem was producing spinal mobilization to the degree that we could decompress a herniated nucleus and relieve pain. Stabilization would come after pain relief. 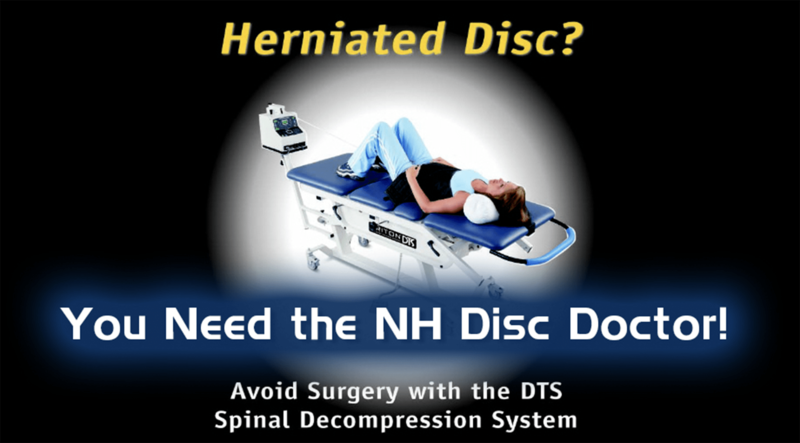 The DRS System was developed specifically to mobilize and distract isolated lumbar segments. Using a specific combination of lumbar positioning and varying the degree and intensity of force, we produced distraction and decompression. With fluoroscopy, we documented a 7-mm distraction at 30 degrees to L5 with several patients. In fact, we observed distraction at different spinal levels by altering the position and degree of force. We set out to evaluate the DRS system with outpatient protocols compared to traditional therapy for both ruptured lumbar discs and chronic facet arthroses. Subjects. Thirty-nine patients were enrolled in this study. There were 27 men and 12 women, ranging in age from 31 to 63. Twenty-three had ruptured discs diagnosed by MRI. Of these, all but four had significant sciatic radiation, with mild to moderate L5 or S1 hyperalgesic. All had symptoms of less than one year. The facet arthrosis patients also underwent MRI evaluations to rule-out ruptured discs or other major pathologies. They had experienced back pain from one to 20 years. Six had mild to moderate sciatic pain with significant limitations of mobility. Patients were blinded to treatment and were randomly assigned to traction or decompression tables. Traction patients were treated on a standard mechanical traction table with application of traction weights averaging one-half body weight plus 10 pounds, with traction applied 60-seconds-on and 60-seconds off, for 30 minutes daily for 20 treatments. Following the traction, Polar Powder ice packs and electric stimulation were applied to the back for 30 minutes to relieve swelling and spasm, and patients were then instructed in use of a standard TENS use to be employed at home continuously when not sleeping. After two weeks, the patients received a total of three sessions with an exercise specialist for instruction in and supervision of a limbering/strengthening exercise program. They were re-evaluated at five to eight weeks after entering the program. Decompression patients received treatment on the DRS System, designed to accomplish optimal decompression of the lumbar spine. Using the same 30 minute treatment interval, the patients were given the same force of one-half the body weight plus 10, but the degree of application was altered by up to 30 degrees. The effect was to produce a direct distraction at the spinal segment with minimal discomfort to the patient. Eighty-six percent of ruptured intervertebral disc (RID) patients achieved "good" (50-89% improvement) to "excellent" (90-100% improvement) results with decompression. Sciatica and back pain were relieved. Only 55% of the RID patients achieved "good" improvement with traction, and none excellent." Of the facet arthrosis patients, 75% obtained "good" to excellent" results with decompression. Only 50% of these patients achieved "good" to "excellent" results with traction. Table 1. Patient assessment of pain relief secondary to decompression and to traction. Since both traction and decompression patients received similar treatment (except for the differences in the traction table versus the decompression table) with similar weights, ice packs, and TENS, the results are quite enlightening. The decompression system is encouraging and supports the considerable evidence reported by other investigators stating that decompression, reduction, and stabilization of the lumbar spine relieves back pain. The computerized DRS System appears to produce consistent, reproducible, and measurable non-surgical decompression, demonstrated by radiology. Of equal importance, the professional staff facilities required, as well as the time and cost, are all significantly reduced. Since the more complex treatment program of the last 25 years has already been shown to cost 60% less than the average pain clinic, the cost of this simpler and more integrated treatment program should be 80% less than that of most pain clinics-a most attractive solution to the most costly pain problem in the US. In addition, patients follow a 30-day protocol that produces pain relief yet allows them to continue daily activities and not lose workdays. We have compared the pain-relieving results of traditional mechanical traction (14 patients) with a more sophisticated device which decompresses the lumbar spine, unloading of the facets (25 patients). The decompression system gave "good" to "excellent" relief in 86% of patients with RID and 75 % of those with facet arthroses. The traction yielded no "excellent" results in RID and only 50% "good" to "excellent" results in those with facet arthroses. These results are preliminary in nature. The procedures described have not been subjected to the scrutiny of review nor scientific controls. These patients will be followed for the next six months, at which time outcome-based data can be reported. These preliminary findings are both enlightening and provocative. The DRS system is now being evaluated as a primary intervention early in the onset of low back pain-especially in workers' compensation injuries. 1. Acute low back problems in adults: assessment and treatment. US Department of Health and Human Services; 1994 Dec; Rockville, MD. 2. Snook, Stover. The costs of back pain in industry. occupational back pain, State-of-art review. Spine 1987; 2(No. 1): 1-4. 3. Gray FJ, Hoskins MJ. Radiological assessment of effect of body weight traction on lumbar disk spaces. Medical Journal of Australia 1963;2:953-954. 4. Andersson GB, Gunnar BJ, Schultz, AB, Nachemson AL. Intervertebral disc pressures during traction. Scandinavian Journal of Rehabilitation Medicine 1968; (9 Supplement): 8891. 5.Neuwirth E, Hilde W, Campbell R. Tables for vertebral elongation in the treatment of sciatica. Archives of Physical Medicine 1952; 33 (Aug):455-460. 6. Colachis SC Jr, Strohm BR. Effects of intermittent traction on separation of lumbar vertebrae. Archives of Physical Medicine & Rehabilitation 1969; 50 (May):251-258. 7. Gray FJ, Hosking HJ. A radiological assessment of the effect of body weight traction on the lumbar disc spaces. The Medical Journal of Australia 1963; (Dec 7):953-955. 8. Gupta RC, Ramarao MS. Epidurography in reduction of lumbar disc prolapse by traction. Archives of Physical Medicine & Rehabilitation 1978; 59 (Jul):322-327. 9. Cyriax J. The treatment of lumbar disc lesions. British Medical Journal 1950; (Dec 23):1434-1438. 10. Lawson GA. Godfrey CM. A report on studies of spinal traction. Medical Services Journal of Canada, 1958; 14 (Dec):762-77 1. 11. Cyriax JH. Discussions on the treatment of backache by traction. Proceedings of the Royal Society of Medicine 1955; 48:805-814. 12. Mathews JA. Dynamic discography: a study of lumbar traction. Annals of Physical Medicine 1968; IX (No.7):265279. 13. Managed Care Organization Newsletter (American Academy of Pain Management). July 1996.